Relax and recharge at Pacific View Escape. 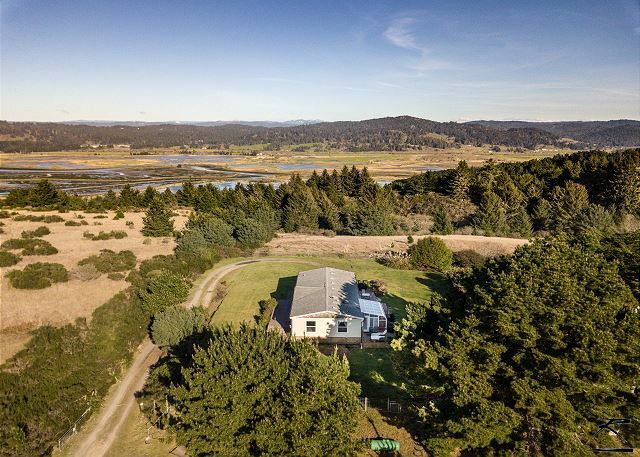 This 3 bedroom, 2 bath home is situated above it all on Humboldt County’s sought after Table Bluff with gorgeous views of the Humboldt Bay, the Pacific Ocean, and the Wildlife refuge. If you’re a birder, this is such a wonderful place! Pacific View Escape offers a very simple, quiet, and relaxing atmosphere. 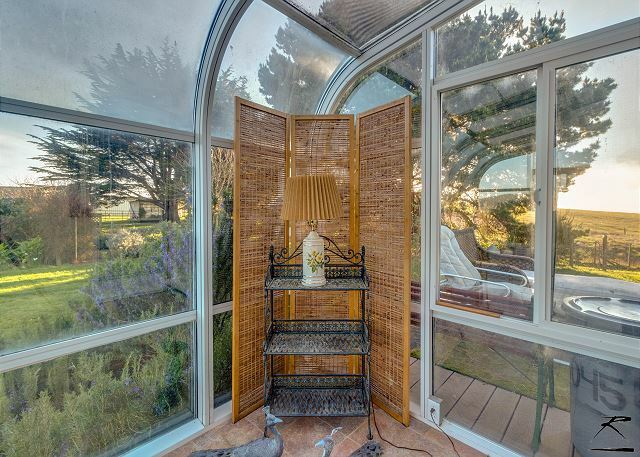 Enjoy views of the Humboldt Bay from the front deck, dining room or bedroom. Have a relaxing BBQ dinner on the back deck at the outdoor seating area or warm your bones in the sunroom after a cool day in the Redwoods. 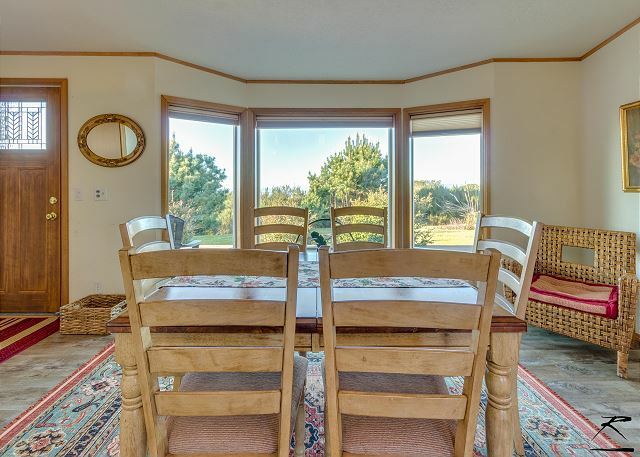 The kitchen is updated and ready for a home cooked meal, dine at your formal dining table overlooking the bay at sunset. 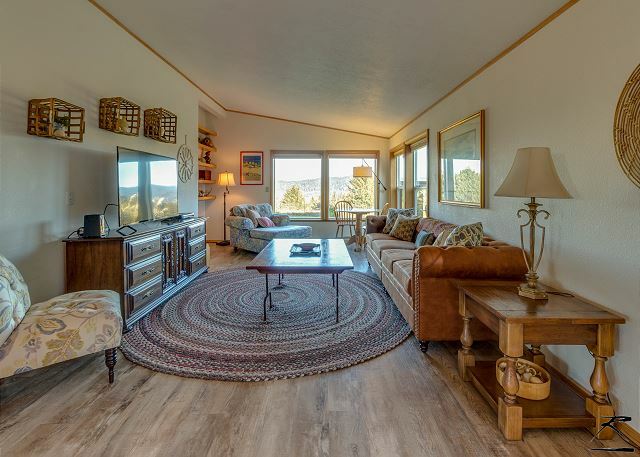 The living room is spacious and well appointed with plenty of seating, DishTV as well as views of the Hillside. 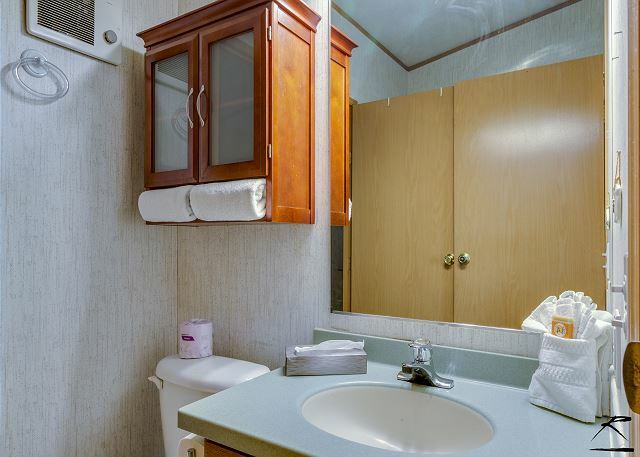 The Master bedroom has a king bed and private bath with deep soak tub. 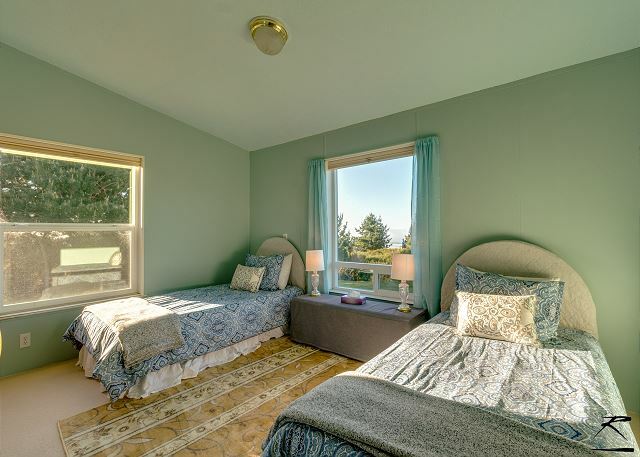 The second bedroom had two twins for the kids family members and last bedroom offers a full size bed with views of the bay. 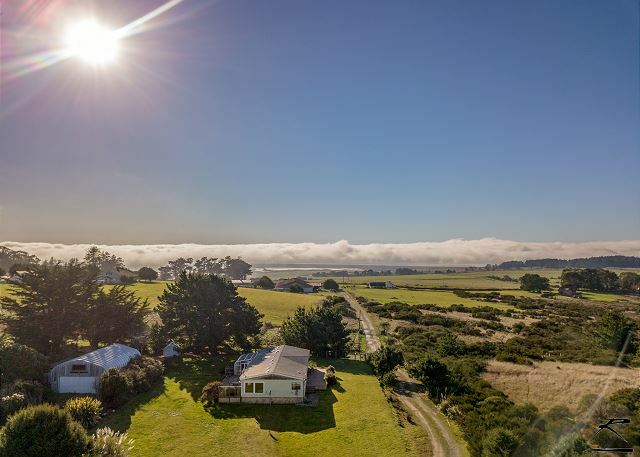 Pacific View Escape is in a rural area called Table Bluff overlooking the ocean, Humboldt Bay, just minutes from the Wildlife Refuge and 5 minutes from the beach. It’s a bit off the beaten path so you may want to stock up. It is, however, centrally located on the Redwood Coast. 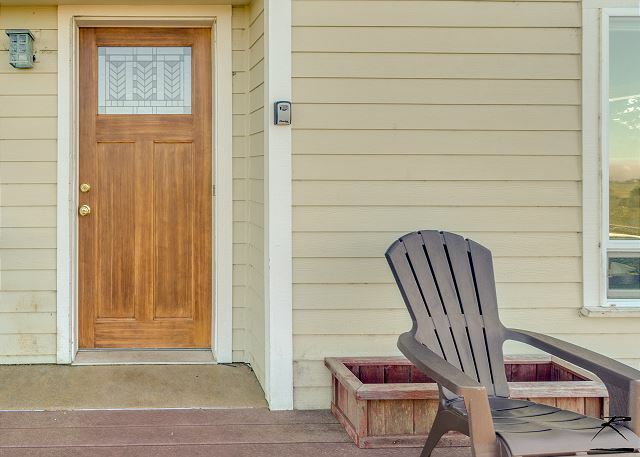 It’s about a 20 minute drive from Eureka, 15 minutes from the Historic Village of Ferndale, 20 minutes from Fortuna, and about 30 minutes from the Avenue of the Giants and Humboldt Redwoods State Park. Or, head north! It’s about an hour from the Redwood National Park and Prairie Creek Redwood State Park, 45 minutes to gorgeous beaches of Trinidad, 30 minutes from HSU, and 20 minutes from Old Town Eureka. Stay, relax and recharge and Pacific View Escape. Loved it! Great location!!! We had a wonderful time. Thank you very much for leaving a review of your stay at Pacific View Escape. 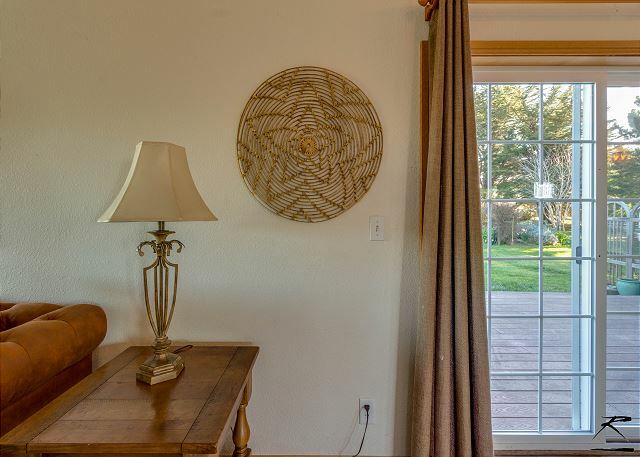 We look forward to having you back again soon, please look us up at Redwood Coast Vacation Rentals when planning your next trip to the North Coast! With over 130 properties, there's something for everyone. Thanks again! Went to a family Christmas stay beautiful location very private .great views overall comfortable but kitchen needs a few more serving dishes bowls etc. Thank you very much for your feedback, we are very grateful for our guests and love when they share feedback from the stay so we know what we can improve upon! I will do a new inventory of dishes so on your next stay you should have everything you need. Thanks again for leaving a review, and we look forward to having you back again on the North Coast! Look us up at Redwood Coast Vacation Rentals when planning your next trip. Secluded and and restful, clean and spacious. A great home base for exploring the area! What a beautiful spot, and those views are amazing. Thank you for leaving a review of your time at Pacific Views Escape. We would love to have you back anytime, please look us up at Redwood Coast Vacation Rentals when planning your next trip to the North Coast! THIS IS THE SECOND TIME THIS YEAR THAT MY HUSBAND AND I HAVE STAYED AT PACIFIC VIEW ESCAPE. MY BROTHER AND SISTER-IN-LAW JOINED US ON THIS TRIP.THE WEATHER WAS FANTASTIC AND WE ENJOYED A GREAT DAY BEACH COMBING.ALL OF US ARE RETIRED AND I BELIEVE WE ALL LOVED THE QUIET AND LACK OF CROWDS AND TRAFFIC THE MOST.WE WERE ALL TALKING ABOUT OUR NEXT VISIT. So happy to hear this was your second stay with us at this property. Pacific View Escape is really a wonderful property, with spectacular views, but you alrady know that! We'd love to have you back again anytime, please look us up at Redwood Coast Vacation Rentals when planning your next trip to the North Coast! Very happy to hear you enjoyed your stay at Pacific View Escape! The view is simply amazing, words cannot do it justice, and it is very remote, yet a short drive away to Eureka or Fortuna if you forgot something or needed a few additional groceries. We would love to have you back soon for another stay, visit us at Redwood Coast Vacation Rentals for all your vacation rental needs on the North Coast, we offer properties from Crescent City to Fortuna and inland to Willow Creek, with over 100+ properties, there is something for everyone! What a great review! Thanks so much for taking a moment to leave your thoughts about Pacific View Escape! We would love to have you back and look forward to you return. Thanks again, and look us up at Redwood Coast Vacation Rentals when planning your next rip to the North Coast! Pictures do not do justice! 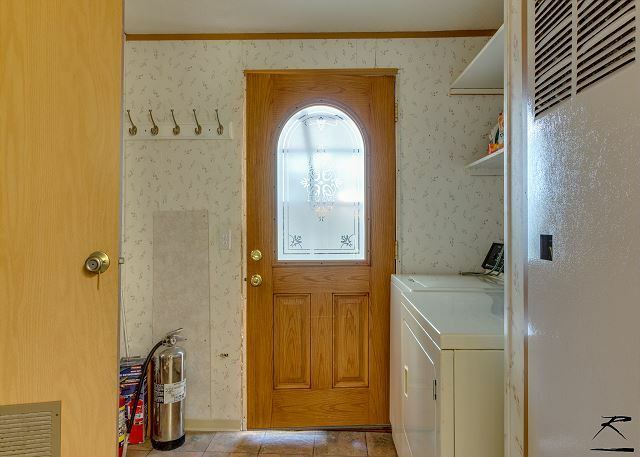 If you like privacy and quiet setting this is the place. The beach is great ! Private excepts for a few locals. I loved the mornings, sitting in the livingroom or on the deck drinking coffee and looking at the mountians. The back deck is great, lots if hummingbirds and nature. The house was well appointed. Just Perfect!! This property is something special, I agree. The views could not be better. We would love to have you back anytime, please look us up at Redwood Coast Vacation Rentals when planning your next get away! Thanks for taking a moment to leave a review, your feedback is invaluable! We loved this place. We wanted quiet and secluded and near the beach and that is exactly what we got. The house is clean and comfortable and the outdoor space is just fantastic. The beach was a short drive away and there was never anyone there. It was perfect! The only downside is that the master bed mattress was so hard and uncomfortable that it was like camping. But they seemed receptive to making a change on that when I contacted them. We will definitely be back regardless...but I might sleep on the couch next time! Thank you for leaving feedback on your stay at Pacific Views! I will speak with the owners about a good option for the master bedroom mattress, maybe a topper of some type. Your feedback is invaluable to us, we need to know these things so we know where we can improve. The property is really spectacular and the views are absolutely amazing, with great outdoor space as you mentioned. We'd love to have you back soon, and we'll work on improving the mattress so you don't need to sleep on the sofa! Thanks again and please look is up at Redwood Coast Vacation Rentals when planning your next trip to the North Coast! 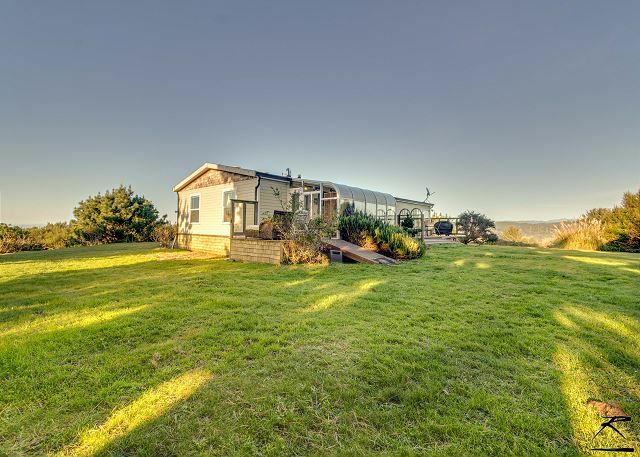 Beautiful house on a bluff overlooking the ocean and bay (as long as it was not fogged in). We loved the house and will come again. This rental is VERY isolated so it is quiet. The only downside is that due to its isolation, the dish internet access is slow causing the computer and some apps on the TV to lose sync and stop while the system regained the data stream. That's why I titled this review "A nice place to read a book". My wife and sister drew and painted while I went down to the south jetty to fish. Thank you for leaving a review of Pacific View Escape, we love getting feedback. The views from this property are amazing, absolutely gorgeous so what a great spot for drawing and painting! This is a relatively new property for us and this is the first time anyone has reported the slow speeds of the wifi, so I will be looking into whether that is something we can fix. 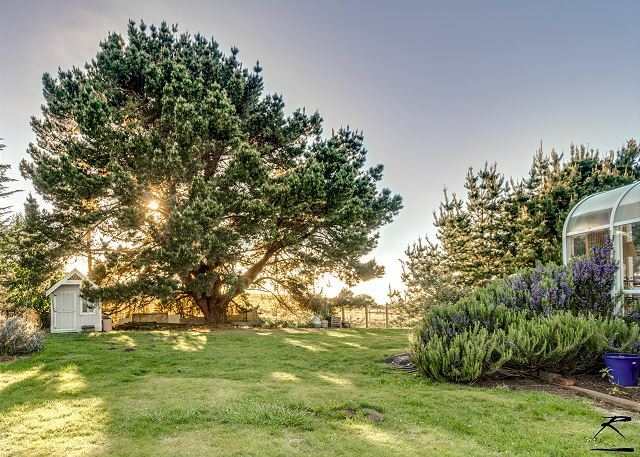 It's an amazing property, great for sitting out on the deck and grilling, going for long walks, or driving a very short distance to the ocean. Thanks again for the feedback, and we are happy to hear you'll be back in the future. This property is awesome. The home is comfy and just the right size. My husband and I spent a day on the gorgeous beach just minutes away. We had the beach to ourselves which I really love. The kitchen is fully stocked, just bring your own groceries.We both hated to leave. So happy to hear you enjoyed you stay at Pacific Views! The views are absolutely stunning! Huge yard for family to run around while grilling and soaking up the sunshine on the back patio, which is protected from the winds that blow being so close to the water. 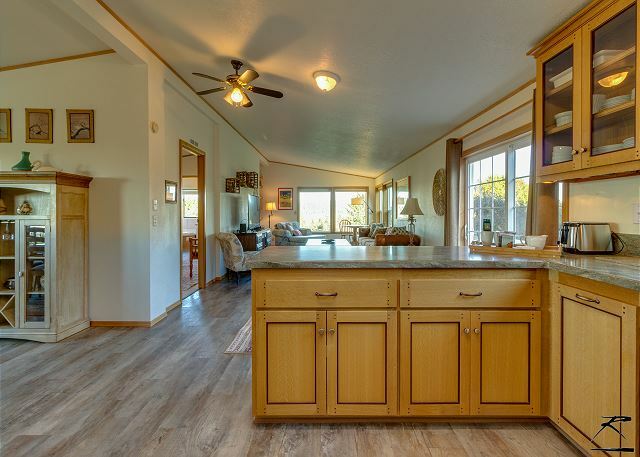 It has everything you could need, all the modern conveniences in a wild and remote setting. Thanks for taking a moment to leave a review, and please look us up at Redwood Coast Vacation Rentals when planning your next trip to the North Coast! We were very happy with the overall experience. The location is beautiful with stunning sunrises and sunsets. Lovely peaceful garden and backgyard space. I wish we'd stayed longer. Next time! 1. The Airbnb listing says that there is a PackNPlay (travel crib) for babies, but there is none. I would have been really upset had I not called ahead to check. This should be amended on the listing. 2. The Airbnb listing says that breakfast is included. This needs to be amended too. There was a small packet of coffee and some nice cookies, but can't say that was breakfast! 3.The sheets smelled of cigarette smoke in the bedroom with twin beds. Not so nice. 4. The directions should be clearer in terms of how to actually find the house. It's not obvious which house to go to. Thank you so much for leaving your invaluable feedback, it is exactly why we ask for your reviews! 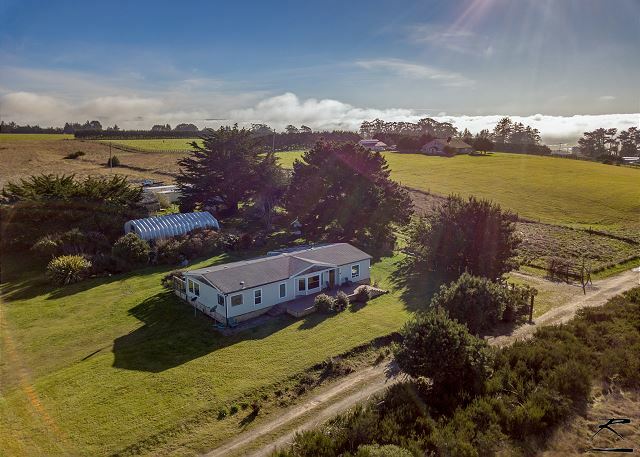 Regarding the Pack and Play, we do provide them if requested, but that is confusing, so I will amend that to make it clearer, also, we have also amended the instructions for getting there and entry to make it easier to find, as it is a rural property. I will check into why it is listed as providing breakfast, I agree that the complimentary coffee and cookies, while delicious, aren't that! Lastly, I am so sorry about the smell of smoke in the sheets, I will be investigating, and please, in the future, call your property manager and we will be more than happy to come and remake the beds. That is really unacceptable. Thanks again for your feed back, we would love to have you back soon, please look us up at Redwood Coast Vacation Rentals when planning your next trip!